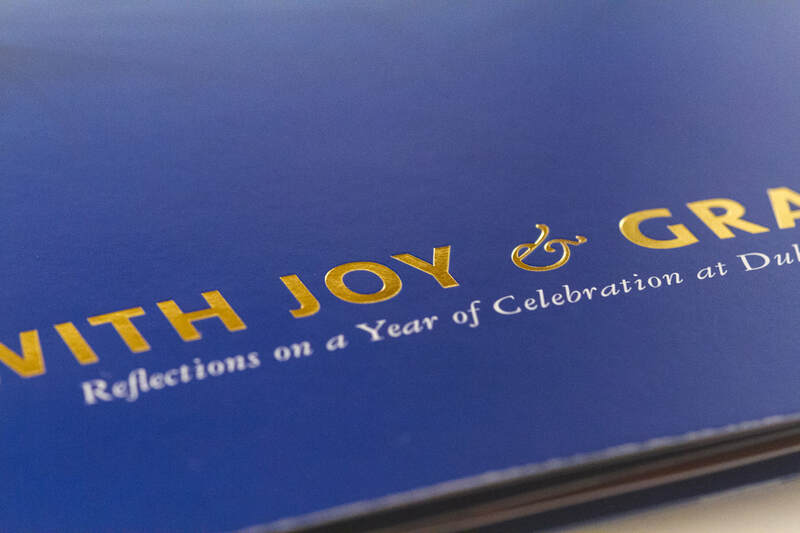 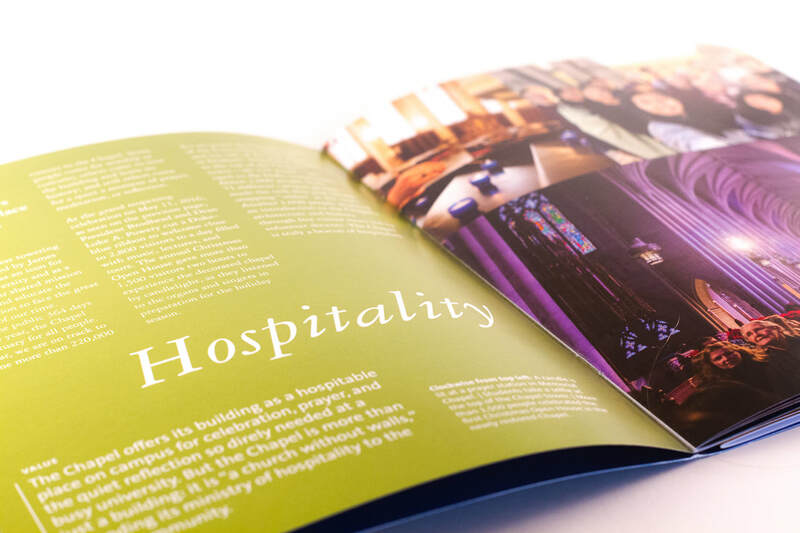 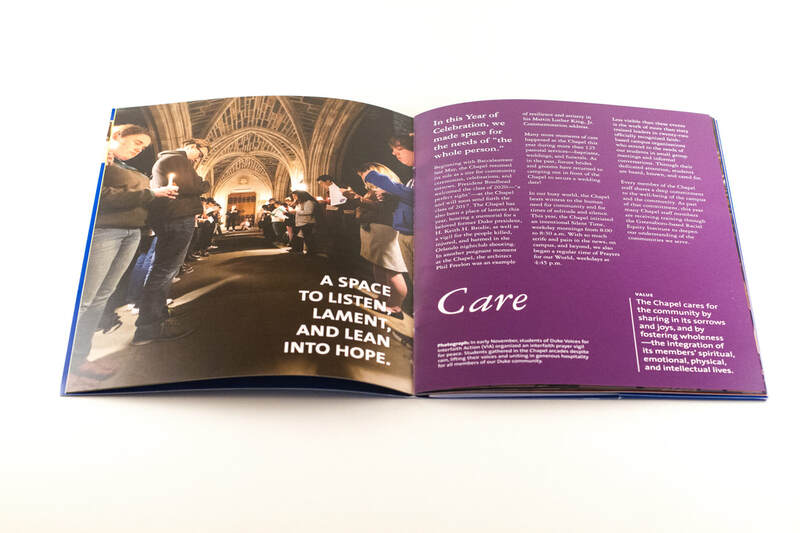 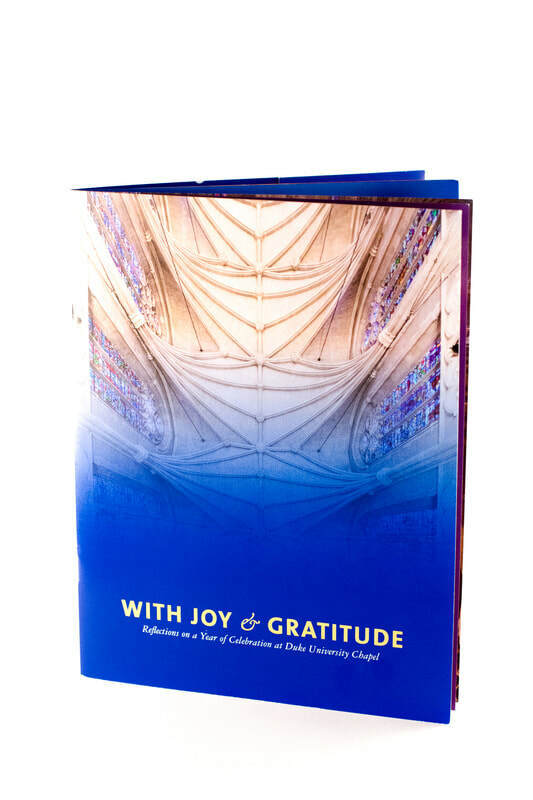 Annual report created for Duke University Chapel. 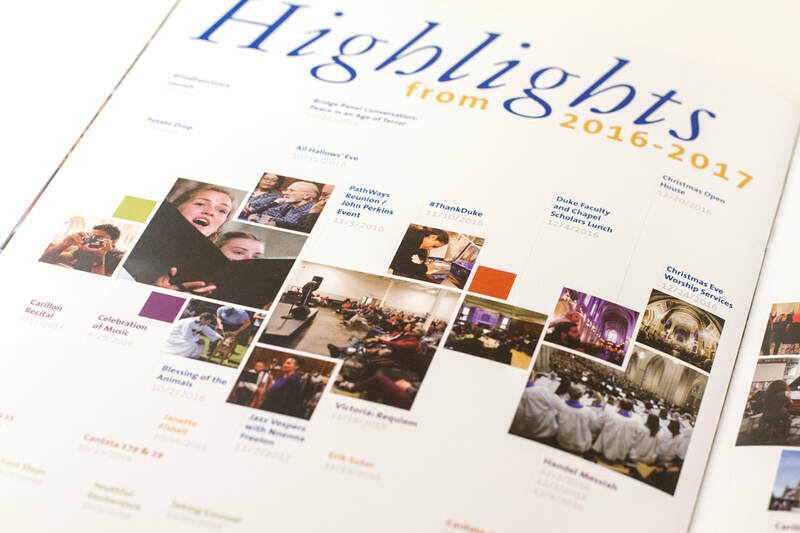 The final product was 20 pages, with an additional booklet insert list of donors, and included a foil stamp cover and collectable magnet. 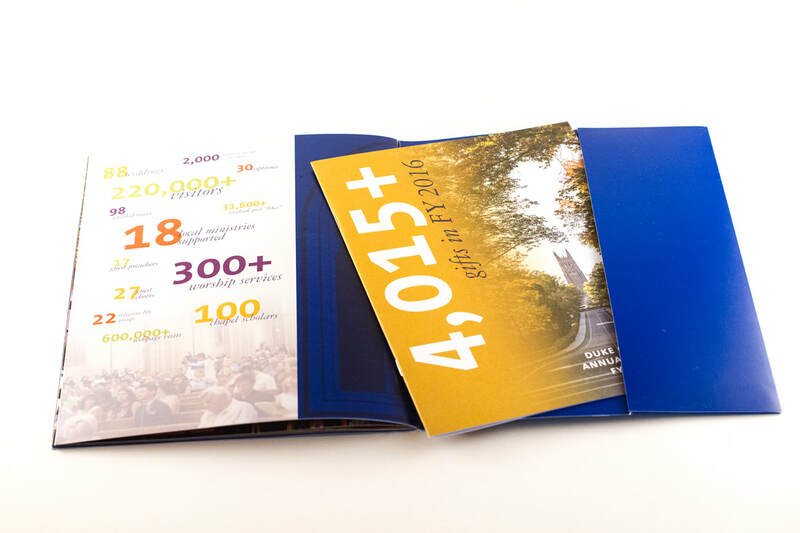 ​This project won an award of excellence in the annual report category at the 2018 CASE District III Awards Competition.